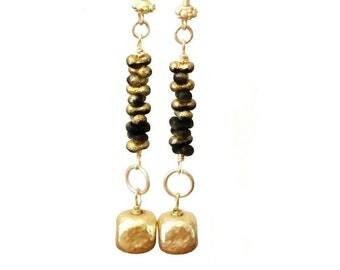 This chunky gold bracelet is a sophisticated wardrobe accessory. 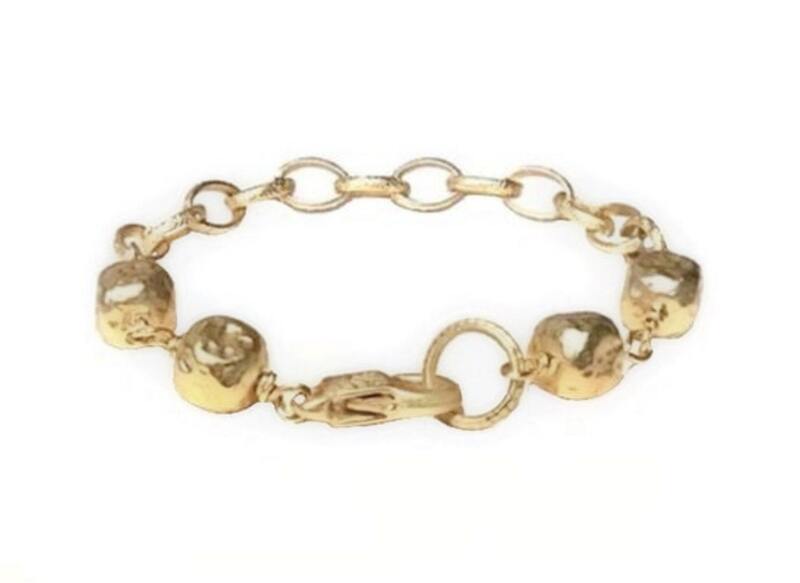 The gorgeous matte gold embossed chain makes this bracelet a standout, as do the rustic hammered matte gold plated cubes that give this piece real personality! 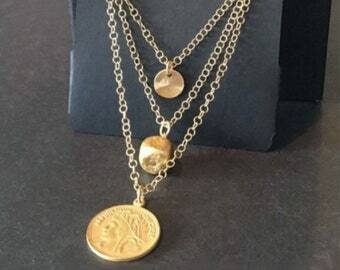 Terrific to layer with other bracelets (like this one : https://www.etsy.com/listing/620931805/gold-coin-bracelet-gold-charm-bracelet), you can wear this on a special occasion, or with your jeans and a long cozy sweater. Comes beautifully boxed and ready to gift! Please select at checkout (6, 6.5, 7, 7.5, 8 or 8.5 inches). Remember, the size of your wrist is not your bracelet size. You need the bracelet to be a bit larger than your wrist size. Beautifully made and came wonderfully packaged. A very unique and unusual twist to your regular link bracelet and at a fair price. Thank you!